You probably know by now that having a social media presence is crucial to running a successful business. Entrepreneurs are taking particular notice of the power the image sharing site, Instagram, has gained in recent years when it comes to reaching potential customers. Learning the ins and outs of each platform is also important if you want to be sure your target market is seeing your posts. Growing an Instagram following is a key part of any good promotions strategy. Read on for some of the best tips for marketing your company on Instagram. 1. Create a Business Profile. As an Instagram user, you can choose to use a personal profile or a business one. Any type of commerce organization should choose the business option, as this will allow access to a number of built-in tools and resources not available to regular accounts. One of these resources is a “contact” option in your bio area. This option allows followers to easily reach out to your business through phone, email or text. In addition, Instagram’s “insights” feature gives you timely analytics at your fingertips so that you can study which posts are performing successfully and which may require tweaking. 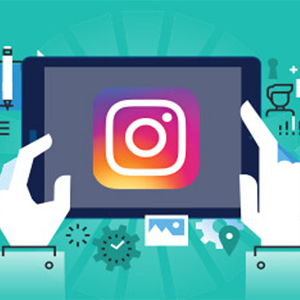 Instagram marketing can benefit from using tried and true traditional promotion strategies such as advertising. Sponsored ads on the platform are a great way to ensure your content is more readily seen by specific segments of your target audience. Instagram ads are effective, and they’re great because you can set your own budget ahead of time. Ads can be displayed individually or in multiples with Instagram’s carousel feature. Purchasing sponsored ads allows your content to be seen by users who aren’t following you, expanding your business’s reach. Along with ads, you can also increase your reach by enlisting the help of influencers. These are popular Instagram users with large audiences containing your targeted demographics. You can pay these individuals to talk about your product with their followers. This is known as a sponsored post. 3. Cross Promote Your Content. If you have established social media accounts for your brand on other platforms, it’s wise to cross-promote your Instagram content on those accounts. This is a way of gaining followers more quickly. Your audience on Twitter, Facebook and LinkedIn already enjoys what you have to share and likes your product. It makes sense to invite them to check you out on Instagram, too. The trick is to not only have a large social media following but to have an engaged one. Finding people who want to interact with your brand is much easier to do when you pull from an already-engaged group. 4. Keep the Interaction Going. Speaking of engagement, be sure you’re interacting with your followers when they like or comment on your posts. This may seem like a logical point, but many brands fail in this area. When someone takes the time to engage with your content, take a moment to acknowledge them. Otherwise, they may decide to take their interest elsewhere. Building relationships is essential to cultivating loyal customers on social media. Using Instagram for business is just another tool in that process. You can also encourage the conversation by using prompts, asking questions, adding hashtags or participating in popular trends like Follow Friday. These are ways you can get more people to engage with your brand, as well as to find followers interested in relevant themes. Growing your audience is an ongoing process. 5. Put Instagram Stories to Work for You. A fun and engaging way to share your content is through a feature known as Instagram Stories. This slideshow format allows you to string together multiple posts, and even videos, to tell a story or showcase multiple related images. Your stories won’t show up in users’ regular feed. Instead, they can be found in a separate area above the newsfeed. Users can view a particular story just by clicking on it, and then it will appear in a new window. Stories are great because they allow you to expand a message and really get creative with things like GIFs, stickers and filters. You can say a lot more with a series of photos than with one single image floating through users’ feeds. They’re awesome for collaborations because you can tag another user’s account. Perfect for working with influencers or sending a shout out to specific followers. Remember, people like to be recognized and acknowledged. 6. Be Flexible and Open to Trial and Error. Finally, it’s important that you are open to trying new things to see what works and what doesn’t. Some ideas will fail. That’s simply inevitable. Toss them out and try something new. Stick with what resonates with your audience. The best way to discover what is successful is to pay close attention to your analytics. However, it’s important that you are checking the right metrics. For example, it’s good to have a lot of followers. However, an audience that isn’t engaged isn’t as likely to become repeat customers as one who interacts regularly with your content. Another metric to pay attention to is the click-through rate, or CTR. You want followers to visit your site in order to buy your product. Also, pay attention to the time of day you post. Popular times will vary by audience. Try different combinations to see when your followers are most engaged. Finding out what works for you will take some time and dedication. It also is likely to evolve. Pay attention and take appropriate action, but be patient. You’ll find your groove. These six tips for marketing your company on Instagram should get you started on the right foot. Before long, you’ll see your follower count rise and notice them interacting with more regularity. Instagram is a fun way to promote your business and gain customers.